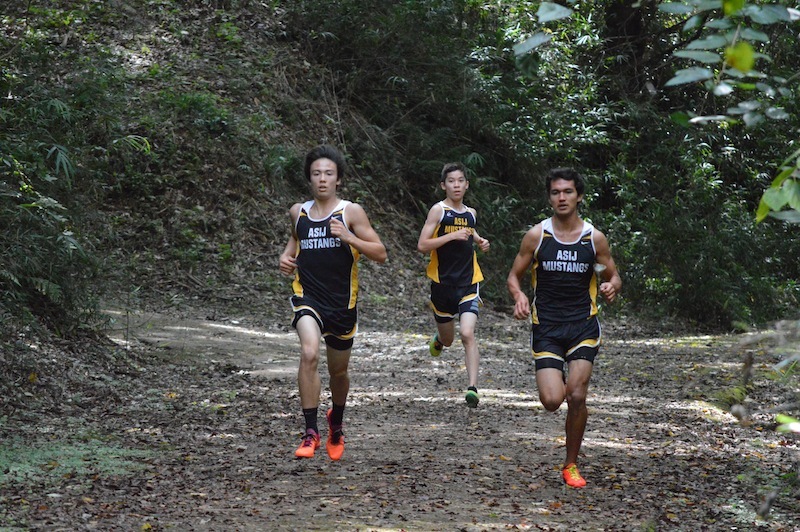 Evan Yukevich (grade 11) broke ASIJ’s school record for the Tama Hills course last Saturday. He also became the first ASIJ runner to break the 15min barrier at the course. And there was so much more to this meet! Willem Thorbecke ( grade 12) and Ryan Nishida (grade 10) broke their Personal Best records and are now ranked 5th and 12th in our top 20 all-time list. Ryan’s time is also the fastest time ever for any 10th grader ar Tama Hills.